Robin Pomery (USA) and Katie Thomas (USA) exited the waters of Lake Monona together with Linsey Corbin (USA) heading into transition in third, +3:21 back of the lead pair. Corbin dominated the bike early and managed to take the lead at 20 miles into the bike. Building upon her lead at each check point on the strength of the fastest bike split on the day, Corbin would enjoy advantages of over twelve minutes on Thomas and a nearing 30 minutes on Jeannie Hansen at the conclusion of the 112 miles. That would be as close as Corbin’s rivals would manage to get to the multiple IRONMAN champion, as Corbin went on to claim the 2018 IRONMAN Wisconsin title in a winning course record time of 9:12:39, with gaps of well over 30 minutes on Hansen and Thomas who finished second and third. Emotional finishes dominated the tough IRONMAN Wales in Tenby. In the women’s race, Lucy Gossage nailed her third victory after 2013 and 2017 in a competitive field. 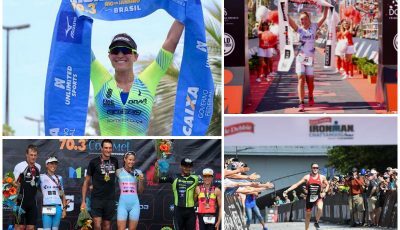 The 38-year old Brit knew that she would have to bike and run her very best to hold off strong and experienced competitors like Camilla Pedersen from Denmark, Canadian Heather Wurtele and fellow countrywoman Nikki Bartlett. As a weaker swimmer, Gossage came out of Carmarthen Bay with a deficit of almost nine minutes to Pedersen. The Dane, famous for her consistency from start to finish, led the race on the bike for a long time, too. While the leader sailed away in front of Wurtele and Bartlett, it was on Gossage to make her way from behind in a long solo effort. The defending champ was able to catch up with Pedersen and take control, even before the women’s pro field hit T2. Moreover, Gossage had opened up a gap of almost three minutes on Pedersen and four minutes on Bartlett when she got off the bike. Although she had to dig deep on the run after this tough bike ride in sharp winds, Gossage maintained her pace. Bartlett and Pedersen battled hard for the runner-up position until the Dane made the decisive move at the half way mark. In men’s race, Matt Trautmann was in the mix right from the beginning, but it didn’t get much easier for him on a tough day. The South African was 2:20 minutes behind Philip Graves, who ranked second in Tenby in the past two years when he exited the water. It took Graves a bit longer to leave the transition zone than Trautmann, and this was an important key for the co-favorite to bridge up to the Brit early in the race. Once they had teamed up, Graves and Trautmann made the gap of the day and started to put a lot of time on their chasers. Gustavo Rodriguez in third place was more than ten minutes behind this duo when he started the run. The best marathoner in the field, Spaniard Victor del Corral, was already 17 minutes down. Trautmann again sprinted through the transition zone, and thus was his big move. Graves established a solid marathon to claim silver for the third time in a row in Tenby while the South African nailed the second IRONMAN victory of his career exactly at the place where he had won his first ever IRONMAN four years prior. Before the IRONMAN 70.3 Ruegen started, all eyes were on Patrick Lange. 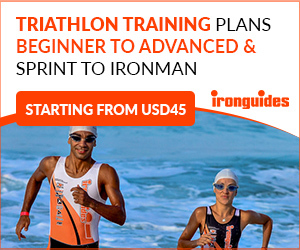 Five weeks out from the IRONMAN World Championship, the question was not if Lange could win in Ruegen. The question was more about how fast and impressive the defending champion would be at the Baltic Sea coast. 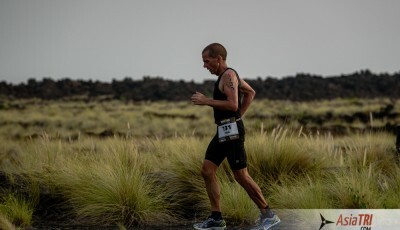 When Lange’s compatriot Florian Angert exited the water 40 seconds in front of the chase group within Lange and some fast others, there was no discussion if the defending champion would catch up with him later. The huge crowd in Binz awaited Lange to make an attack on the bike, but this didn’t happen. Angert nailed a superb split of 1:59:12 on the bike while Lange reached T2 within the first group five minutes down. 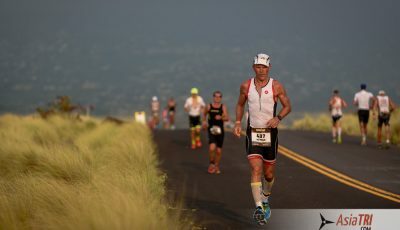 Again, people expected the reigning IRONMAN world champion to storm onto the run course, but Angert was just too good. 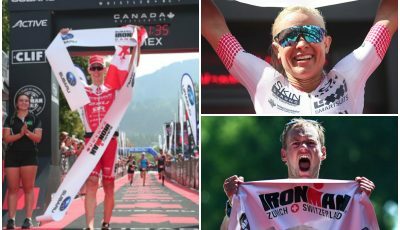 The 26-year old German, who won IRONMAN 70.3 Jönköping earlier this season and ranked fourth at the hard-fought IRONMAN 70.3 Austria, added a brilliant run which was even faster than Lange’s half marathon. Angert claimed an impressive win while Lange had to push a lot to drop his fellow countryman Horst Reichel. The big name on the women’s start list was Laura Philipp. Different to the men’s race, Philipp was off and away early to nail a dominant victory. Brit Claire Hann had the faster swim, but Philipp didn’t only downsize the gap early, she put herself into the driver’s seat in outstanding fashion. She put the best bike split by far on track and added the fastest run to take a clear win in front of Hann and Laura Zimmermann (GER). 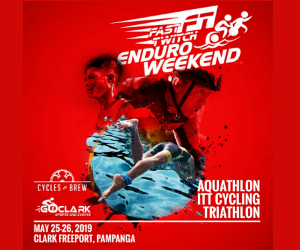 Eric Lagerstrom (USA) laid down the fastest swim on the day and managed to hold off a hard charge from former pro cyclist Andrew Talansky (USA) throughout the bike. Heading out on the run with a 26-second advantage on Talansky, Largerstrom had to figure that Ben Hoffman (USA) would provide a larger challenge on the run as Hoffman was starting the run less than a minute and a half in arrears and well positioned in third. Talansky would fade early while Hoffman would power his way into second, however he never managed to reduce the gap to Lagerstrom. Storming his way to the victory, Langstrom record a winning margin of +1:40 on Hoffman. Sarah Crowley (AUS) used a race-best bike split to bridge the gap to race leader Lisa Norden (SWE) within the first half of the bike leg, with Norden leading the pair off the bike. Crowley waited until three miles into the run to make the pass for the lead. Behind Crowley, former ITU standout Paula Findlay (CAN), now in second place, was tearing through the field and closing in fast on Crowley in the closing miles of the run. Crowley managed to hold off Findlay to take the win in California.